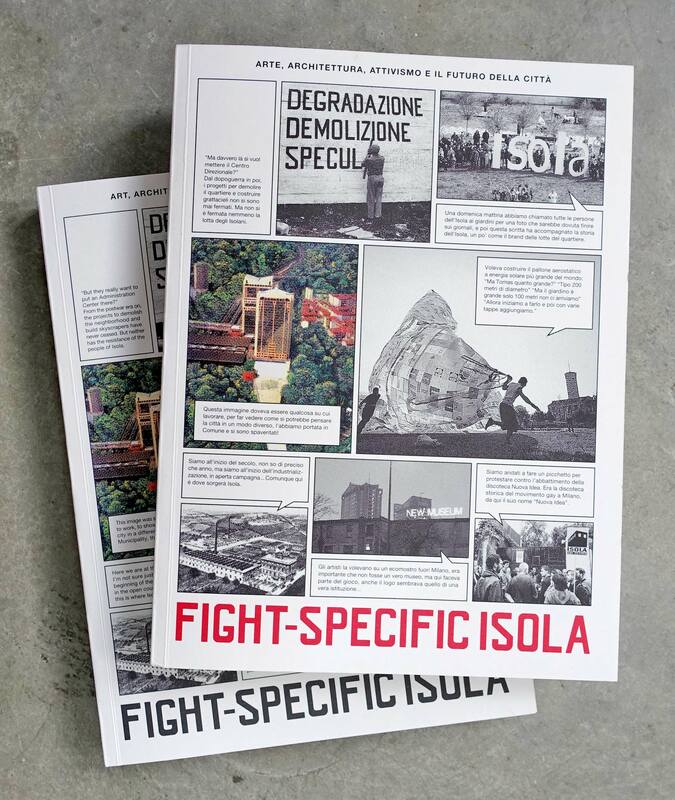 Fight-Specific Isola. Art, Architecture, Activism and the Future of the City. Texts by Atelier d’Architecture Autogérée, Marco Biraghi, Antonio Brizioli, Charles Esche, Mara Ferreri and Davide Caselli, Vincenzo Latronico, Isabell Lorey, Steve Piccolo, Gerald Raunig, Christoph Schäfer, Mariette Schiltz, Marco Scotini, Bert Theis, Tiziana Villani. of how to act on the ground in today’s urban condition. Different narratives of history, artistic intervention and action allow the reader to trace the complex idea of collectivity, solidarity and fight-specificity. Testing new terms such as dirty cube and dispersed center this book shows a possible way to respond to the constant pressure of neoliberal development and gentrification.